If you're a longtime reader of the ol' blog and you kept up with my Holiday Gift Guide last year, you know that I got the Muffin Man a book subscription from Zoobean. As far as I'm concerned, a child can never have too many books, which is why Noah's bookshelves are already overflowing. I suspect that I may have inadvertently turned him into a book hoarder like both of his parents and that we may all one day perish under a giant, teetering stack of books waiting to be read, but breaking me of my book-buying is never going to happen (yes, I have a Kindle and I'm hoarding books on that, too). I signed Noah up for a three month book subscription, and so far we've received two of our books. Friends, these books are fantastic. Not only are they carefully selected to be appropriate for his age, but they also reflect Noah's specific interests that I included on the order form. And these are really, really nice quality books. 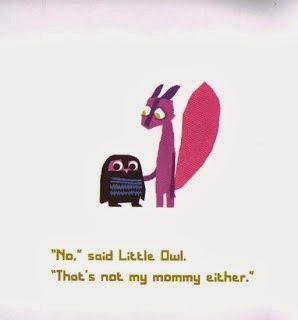 The first one, Little Owl Lost, is a hard back, and the most recent one, Everywhere Babies, is a board book, perfect for Noah to interact with (read: chew, throw, attempt to tear). The stories are wonderful as well. 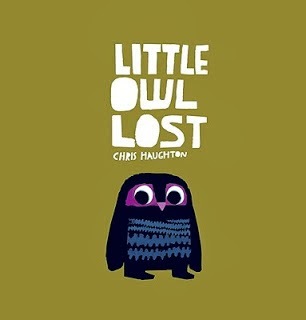 Little Owl Lost is the classic story of a small fry, in this case an owl, who strays from home and elicits help trying to find his mother. It's funny, it's sweet, the ending is absolutely charming, and I love the quirky illustrations. Oh, and I've managed to keep Noah from either ripping Little Owl Lost or enjoying it as an appetizer, so that's a win. 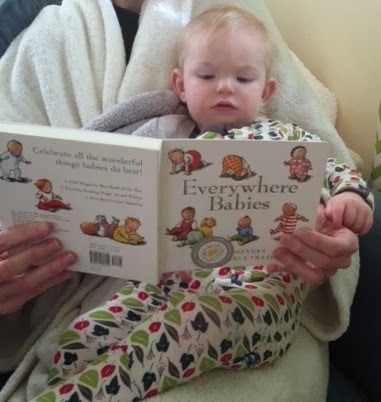 Everywhere Babies has become one of the Muffin Man's favorite books. Just like most little kids, he's completely fascinated by other babies, so this book has been a fun way for him to learn about what babies do. I don't know if he's drawn to this tome because it's got a fantastic rhyming story, or if it's the cute illustrations of cherubic little ones, but either way it's made it into his regular story time rotation. 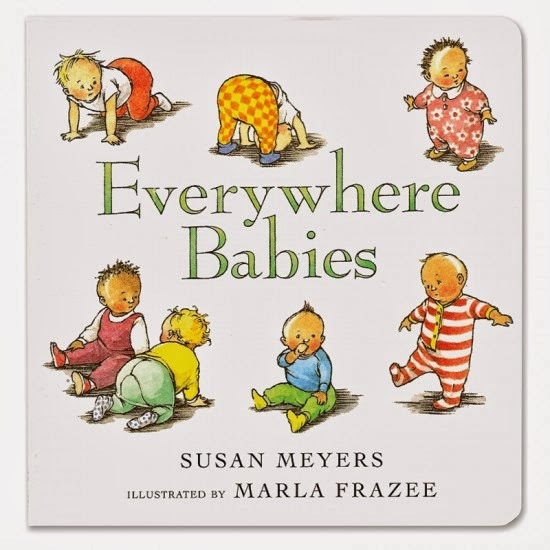 In fact, just the other day I spied him on the baby monitor reading this book to himself, which was pretty darn cute. I'm really excited to receive our next book in the mail this month. It's always fun to come home and find the crisp white Zoobean envelope sticking out of the mailbox, as I know it promises another great adventure in reading.